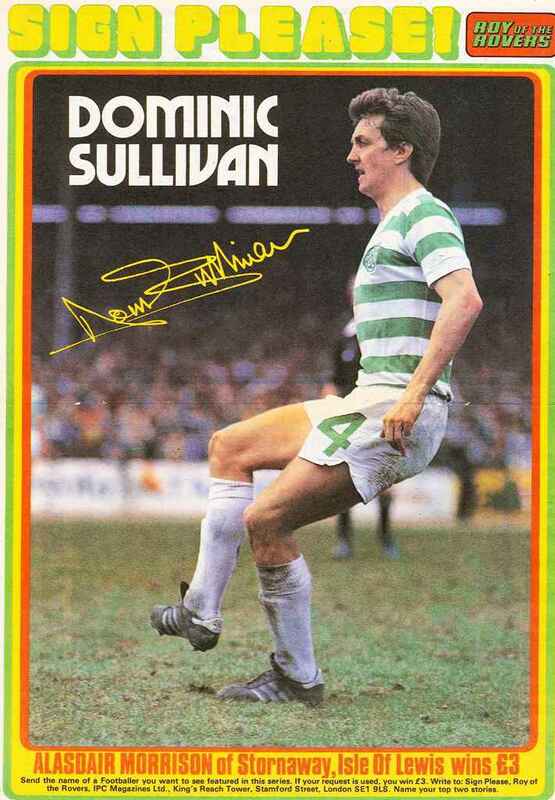 Dom Sullivan was a highly coveted player during his time at Clyde in the early 1970’s, when the ‘Bully Wee’ were a Scottish top division side and Sullivan was their prized asset. Several English sides were rumoured to be pursuing his signature, especially Leeds United, then under the management of the great Don Revie. However, no big move down south ever came Dom’s way but in 1976 Clyde sold him to Aberdeen for £50,000 in a bid to stave off their financial problems at that time. He was an immediate hit at Pittodrie and helped Aberdeen lift the League Cup in 1976 when they spectacularly beat Rangers 5-1 in the semi and then Celtic 2-1 in the final. Sullivan gave good service to Aberdeen but by October 1979 Alex Ferguson had taken over at Pittodrie and, after a fall out between the two, Dom joined his boyhood idols Celtic for an £80,000 fee. There had been speculation for years that Celtic were interested in Dom, going back to his days at Shawfield, but he eventually got the move he desired. 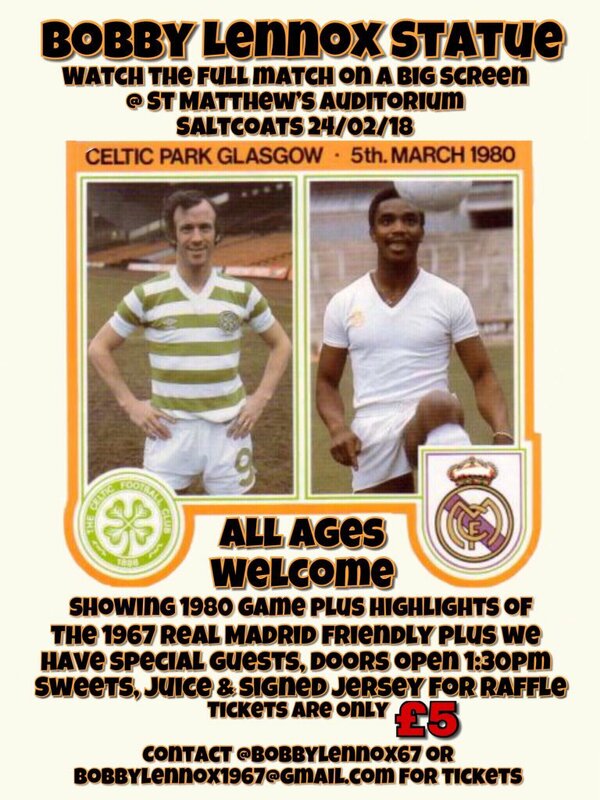 He made a memorable debut when Celtic beat Rangers 1-0 on 27th October 1979, courtesy of a Roddy MacDonald header, but struggled with injuries for the rest of the season and had the huge disappointment of missing the 1980 Scottish Cup final win at Hampden against Rangers. The 1980-81 and 1981-82 seasons were to be Dom’s best period at the club. The midfield trio of Dom, Murdo MacLeod and Tommy Burns turned in tremendously consistent performances over that period which saw Celtic rated as the most entertaining team in Scotland. 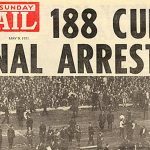 The league championship was won on both occasions which was deserved reward for a Celtic side who were the best in the country, and highest goal scorers, at a time when Scottish football was held in very high regard. 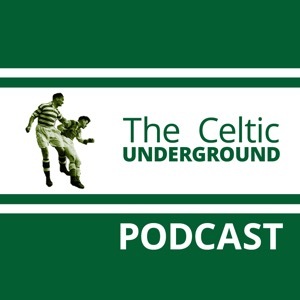 Dom linked well on the right flank with Danny McGrain and Davie Provan, with all three combining to great effect, so much so that Tommy Burns was said to have complained that too much of Celtic’s play was concentrated on the right flank with that trio’s involvement. 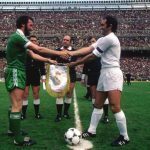 McGrain and Provan were high profile international players but Dom was content to keep a lower profile whilst still making his own important contribution to Celtic’s consecutive title successes. Sullivan’s main assets were his passing ability and unselfish running off the ball, which greatly benefited his team mates but often went unnoticed by Celtic fans and football writers. He wasn’t a notable goal scorer but he is remembered for scoring several memorable goals. In August 1980 he lashed in a vital long range equaliser against Stirling Albion in the League Cup; in January 1981 he finished off a marvellous three man move against Hearts at Tynecastle; and in March 1982 he scored a fine volley in a Celtic’s impressive 5-2 victory at Love Street against St Mirren. 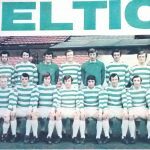 Dom wasn’t noted for his tackling but he didn’t have to be physical in team which included Danny McGrain, Roy Aitken and Murdo MacLeod. 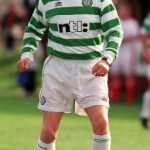 He was very much a creative player and this Celtic team is fondly remembered for upholding the great Celtic tradition of attacking, entertaining football that the club is famed for. 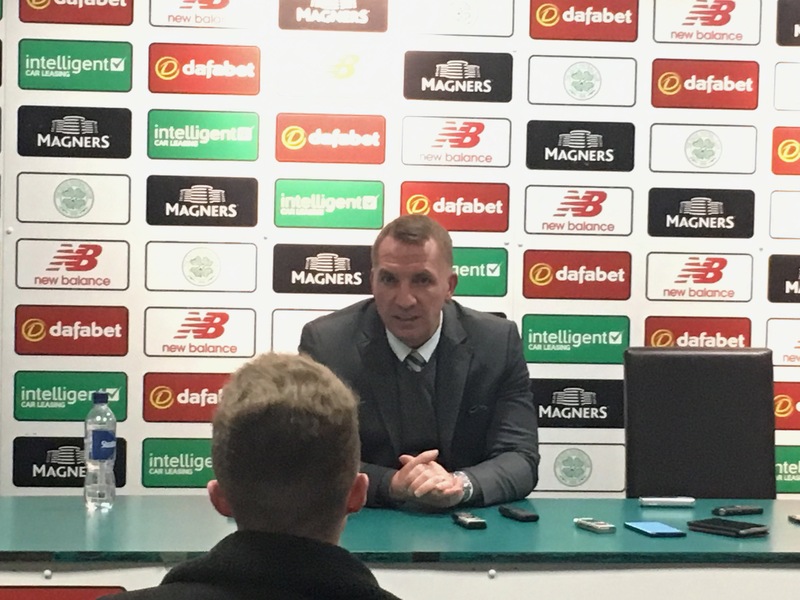 He also had an excellent temperament and gave an experienced lead on the field of play to the younger players around him such as Mark Reid, Charlie Nicholas and Danny Crainie. By the beginning of the 1982-83 season the brilliantly talented Paul McStay broke through into the first team, in the number 8 shorts, at Dom’s expense. This meant that he was used sparingly in his last season before moving on in the summer of 1983. Dom Sullivan was only at Parkhead for four seasons but played a major part in a terrific Celtic side which is still fondly remembered by the supporters of the period, who had the pleasure of watching them play. 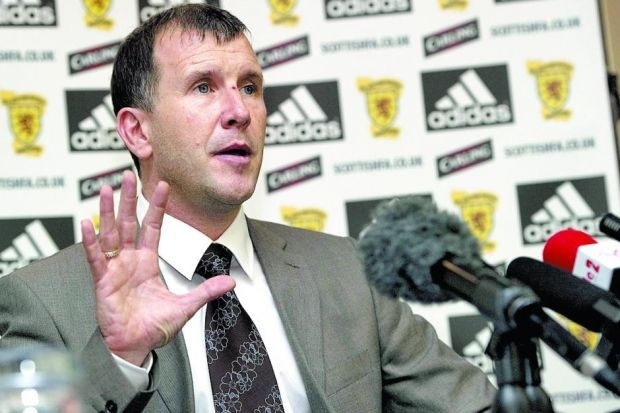 What Are You Hiding Mr Regan?